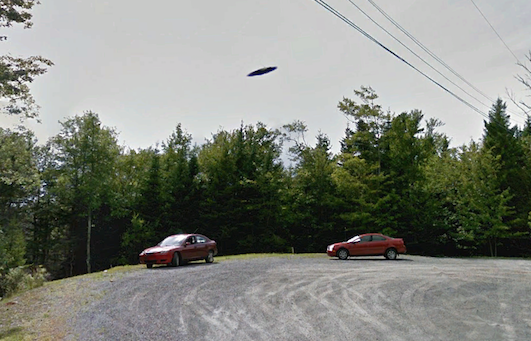 UFO SIGHTINGS DAILY: UFO Caught On Google Earth In Nova Scotia, Canada On Aug 2015, UFO Sighting News. 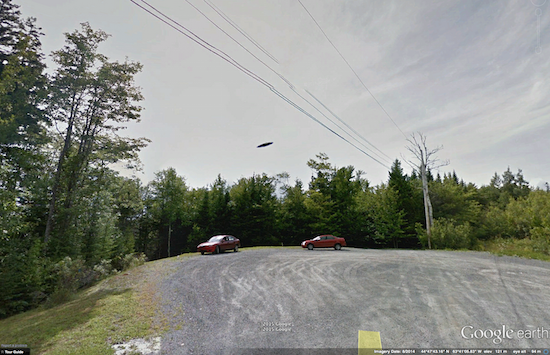 UFO Caught On Google Earth In Nova Scotia, Canada On Aug 2015, UFO Sighting News. This was sent into me on Twitter this week. 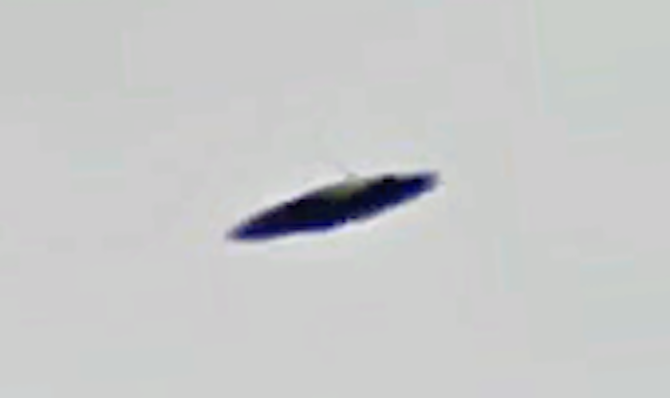 Its an UFO hovering over two cars. I went to Google Earth to find it and confirm the discovery and yes, it is there. Its very difficult to see it. It may take 3-5 minutes to adjust your position from the cars to get it just right. I used the mouse to move, but then switched to use the arrow keys on my keyboard. They worked. The UFO looks like a side view of disk and when I tried to enhance its focus, I found that there is an aura around it. Above image has enhance focus only.